Getting around Kelowna is as easy as it is to get here. Kelowna has a beautiful downtown core full of local shops, restaurants and a fantastic cultural district that is best explored by foot. Kelowna also has a wide range of tour companies & transportation services that will be able to assist with getting from your hotel or bed & breakfast to the nearest winery or golf course. 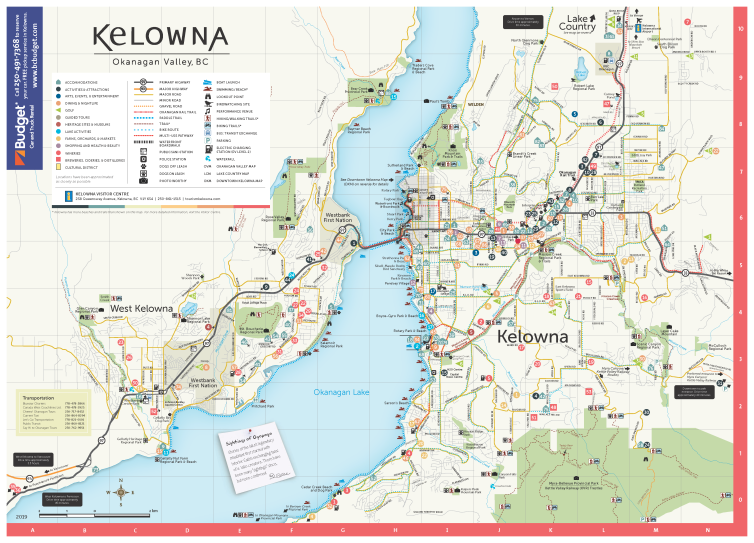 Kelowna has something to fit your transportation needs. If you have any questions, contact us and we will be happy to assist you.